A high bun is definitely my go-to hairstyle when I have dirty hair, so I'm always looking for new ways to dress it up. This is one of my new favorite ways! 1. Start by putting your hair into a high ponytail. 2. This is about where I like my bun to sit. You can do it higher or lower if you'd like. 3. Use the hair in the ponytail to do a fishtail braid. For help with fishtail braiding, see my video for instructions. 4. 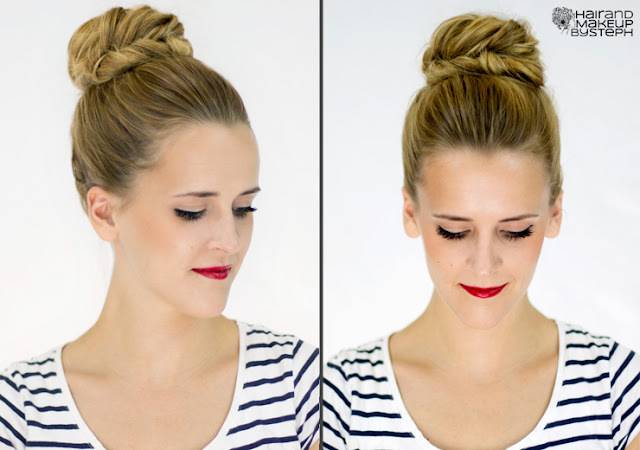 Secure the end of the braid with a small elastic. 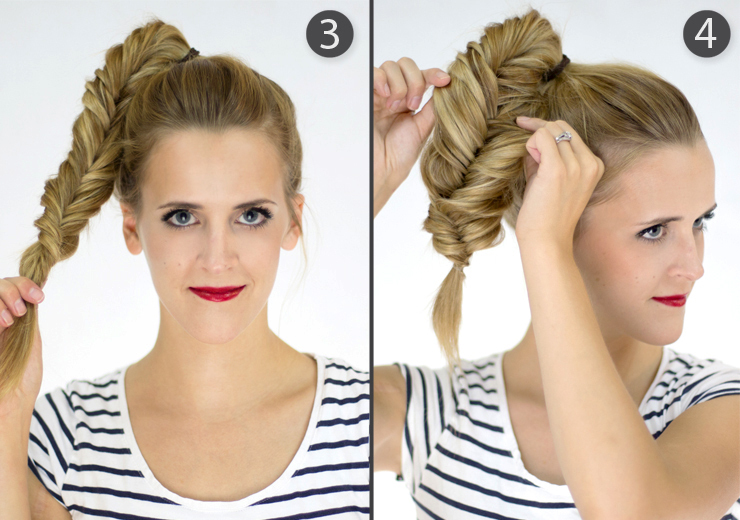 Use your fingers to loosen and widen the braid. 5. 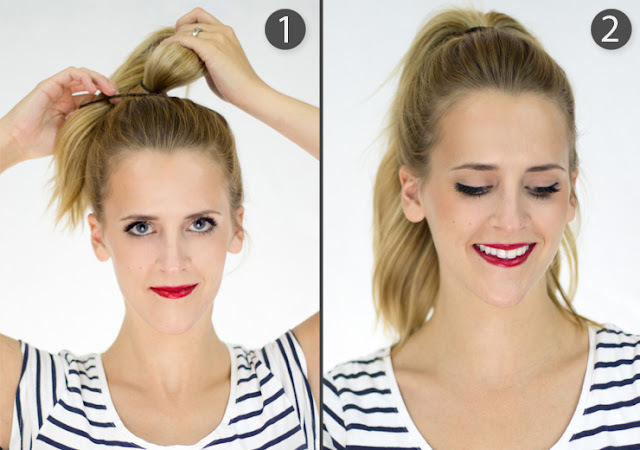 Wrap the fishtail braid around the base of the ponytail. 6. 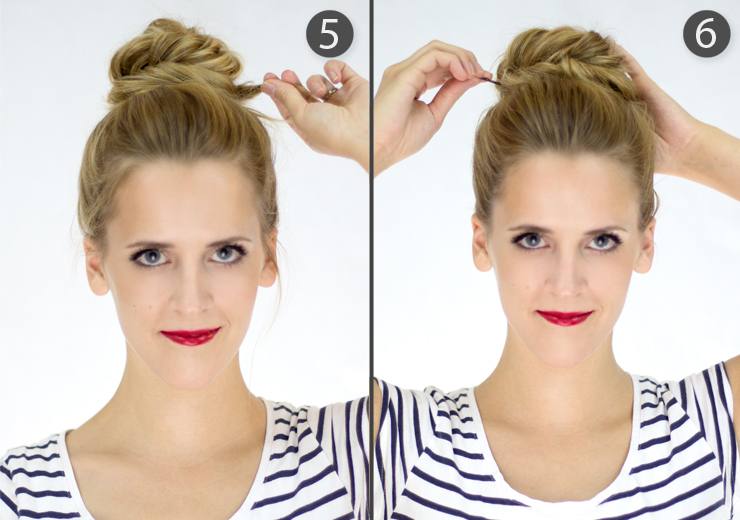 Tuck the end of the braid under the bun and secure the bun with bobby pins. Want to take a class? Subscribe to stay updated! I'm Steph, a professional hair stylist and makeup artist who loves creating beauty around the world. Thanks for stopping by!